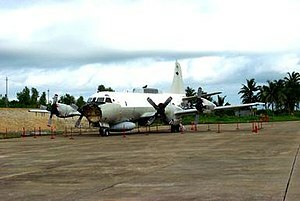 Hard to believe, but today is the 10th anniversary of the 2001 incident in which a U.S. Navy EP-3 reconnaissance aircraft operating above the waters of the South China Sea was struck by a People’s Liberation Army Air Force (PLAAF) interceptor jet. The U.S. pilot, Shane Osborn (who has gone on to be a successful politician in Nebraska), managed to keep the crippled plane in the air while the crew members hastily tried to destroy as much of the payload as possible – classified equipment and materials related to the aircraft’s surveillance mission. Unfortunately, due to the in extremis situation, the crew was only able to partially complete this task before an emergency landing was made at an airfield on Hainan Island. The crew was taken into custody and the aircraft seized. The final chapter in this dispute has yet to be written. To read more about the Hainan Island Incident, see Shirley A. Kan, et al., China-U.S. Aircraft Collision Incident of April 2001: Assessments and Policy Implications, CRS Report to Congress, October 10, 2001.